Well-known Swedish online slots developer Quickspin has exciting news for fans of its games. 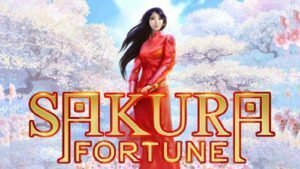 The company, part of the world-renowned Playtech Group, recently announced the launch of a brand new game called Sakura Fortune slot. Like all games from Quickspin, this one stands out from the crowd thanks to its superior animation and immersive gameplay. However, this newly launched title also has something revolutionary. Known as Achievements Engine, this is Quickspin’s newest development that is meant to provide players a highly rewarding and exciting gaming experience. The Achievements Engine utilizes six distinct game events in Sakura Fortune online slot. The various achievements are spread out over four different levels during which players will have plenty of opportunities to get rewarded with Quickspin tokens. These tokens can then be used to trigger a number of bonus features such as free spins and other side games. Players will also be able to keep track of their progress on a special page within the game. What’s more, they will also be able to redeem their rewards on this page. Quickspin CEO Daniel Lindberg is very optimistic about the game and is confident that it will appeal to players across the board and spread over different jurisdictions. He pointed out that players have responded very favourably to the Achievements Engine. This game has five reels and forty pay lines spread across four rows, giving players plenty of wagering opportunities. As the name indicates, it has a beautiful Japanese theme in which cherry trees abound. The game has a fairly good jackpot worth 1000 coins. The base game is good fun but it is the bonus features, three in all, that make it really exciting. Players can wage anything from 20p to £80 on each spin to try for the attractive jackpot. The three bonus features in the game make it really exciting. Getting two wild symbols give the players Mystery Nudges that can get them wild stacks. When players get two wild stacks then the Sakura Fortune Respin feature will be launched. The game also has a free spins feature triggered by the scatter symbol. 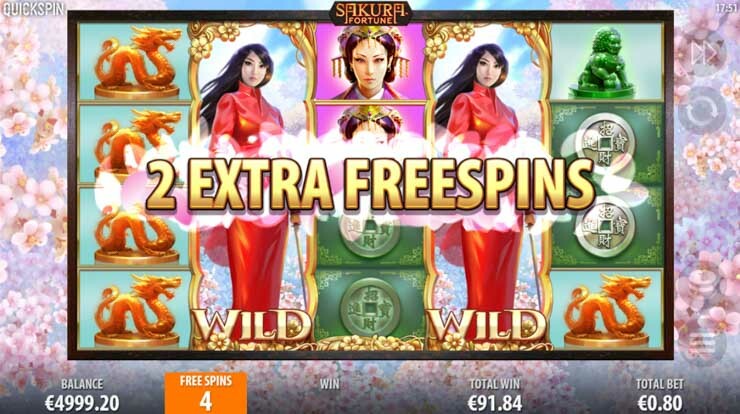 The Sakura Fortune online slot game is quite generous with free spins. The players get five additional spins when at least three scatters land on the reels. In case the Princess wild symbol appears during the feature then it will expand to cover the reel entirely. This wild reel stays locked in place during the entire feature and it gives players an additional free spin. The princess symbol is the game’s wild and it has a part to play in its three bonus features. As is the case in most slot games, the number of wilds that trigger a feature will determine how many respins are eventually awarded. In fact, the Sakura Fortune Respin feature will keep on occurring as long as wilds appear on the reels. The princess and two other characters featured in the game have higher values. The golden dragon and jade lion symbol also belong to this category. There are also four differently coloured coin symbols but they have a lower value. Sakura Fortune is a well-made game that gives out fairly attractive wins. We tried the game out a number of times and realized that this is a very volatile game. The only way to get big wins in this game is via the bonus features. Its RTP of 95.58% definitely makes it worth playing. We are therefore very happy to recommend Sakura Fortune slot game.